New home for the blog on my brand new website! 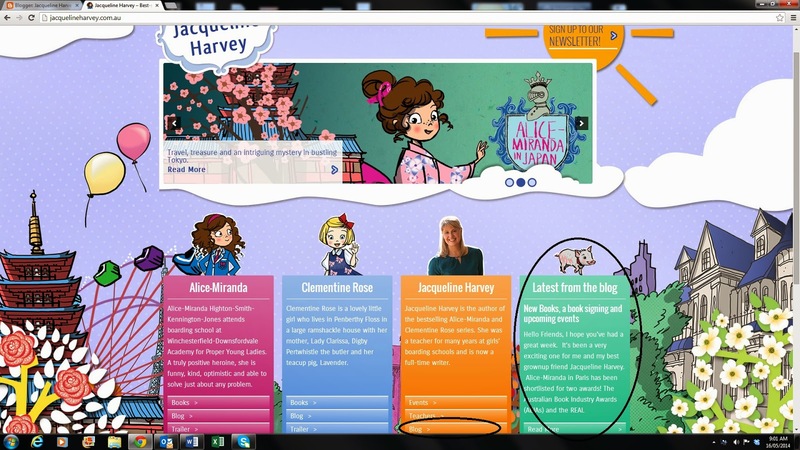 This month we have launched the brand new Jacqueline Harvey website which is also now the home of my blog. I think it looks fantastic - it's been a while coming but well worth the wait! The website has been developed to be highly interactive and capable of frequent updates. 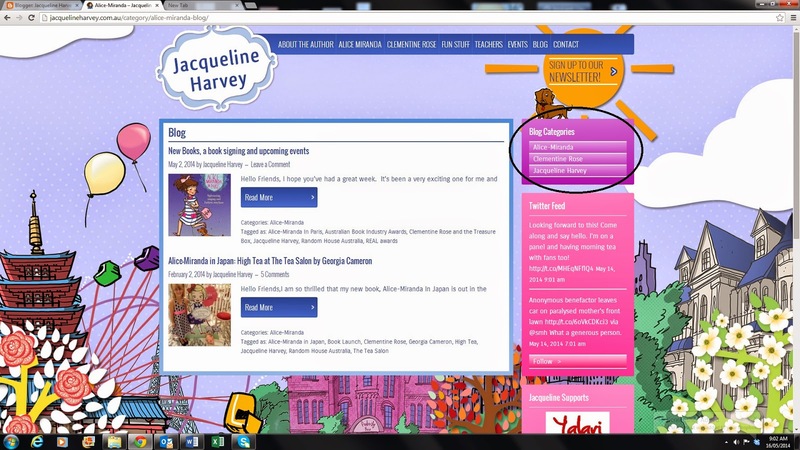 There is also a place to subscribe to the monthly newsletter which will have regular competitions among other things. I'll still be blogging my travels too. 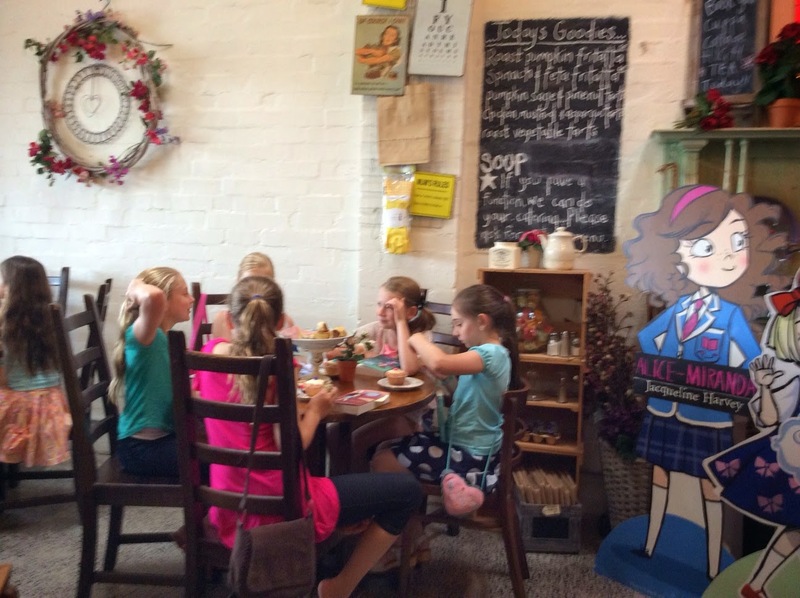 The website caters for fans of the books, parents and teachers, (and those who enjoy following my travels) so there really is something for everyone. I'd love for you to pop over and have a look and please feel free to sign up for the newsletter too. You can now filter the blogs as well - so just click on whether you want to see the latest news from me, Alice-Miranda or Clementine Rose. Life as an author is never dull that's for sure. I spent Monday this week with the English faculty at Pennant Hills High School, working through strategies for teaching writing on their Professional Development Day. They are a great team and I came away feeling really excited about how motivated and enthusiastic they were -no mean feat given it was their first day back after a term break. 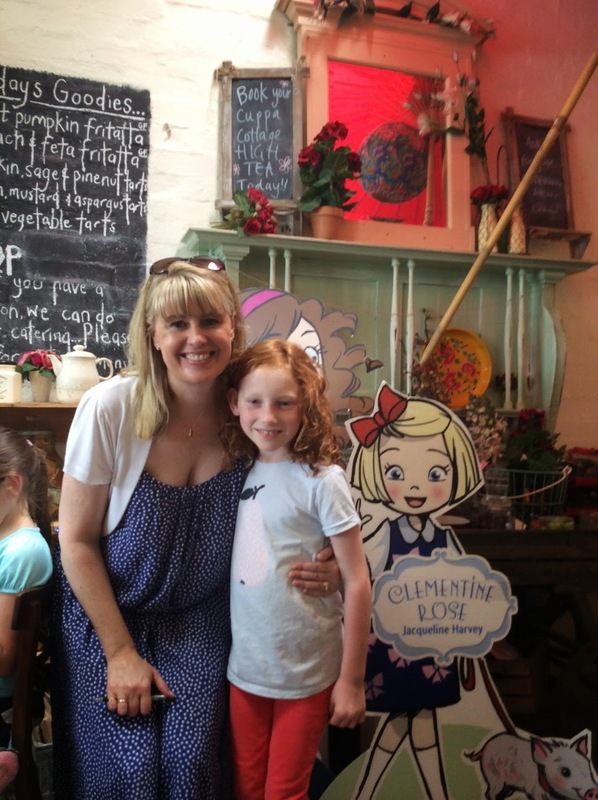 My other big goal for the week was to finish the manuscript for Clementine Rose and the Famous Friend. It's the seventh book in the series, so seems a way off in the future as we've just last month released Clementine Rose and the Seaside Escape which is number five. 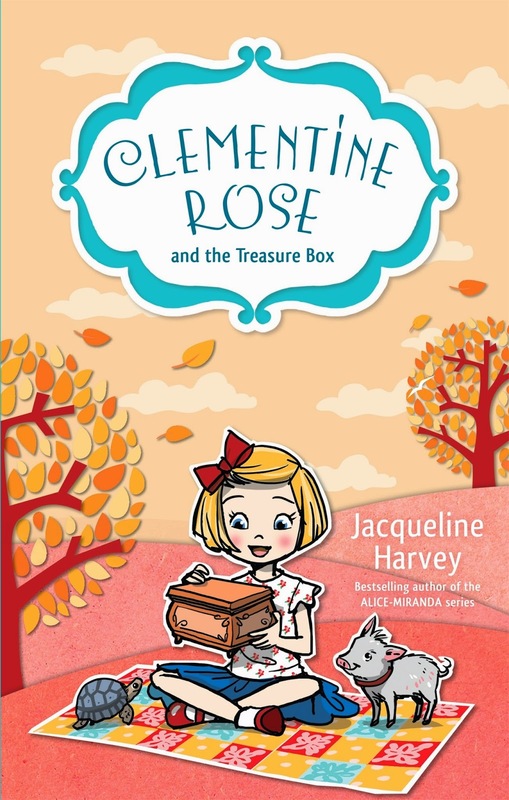 Clementine Rose and the Treasure Box is set for released in July then Famous Friend will be out in October. Many hours later and after the usual helping of self doubt, I pressed send yesterday and am now hoping that it passes muster. There's no break between books as I've already started plotting the eighth story in the series and plan to have it finished by the end of the month. 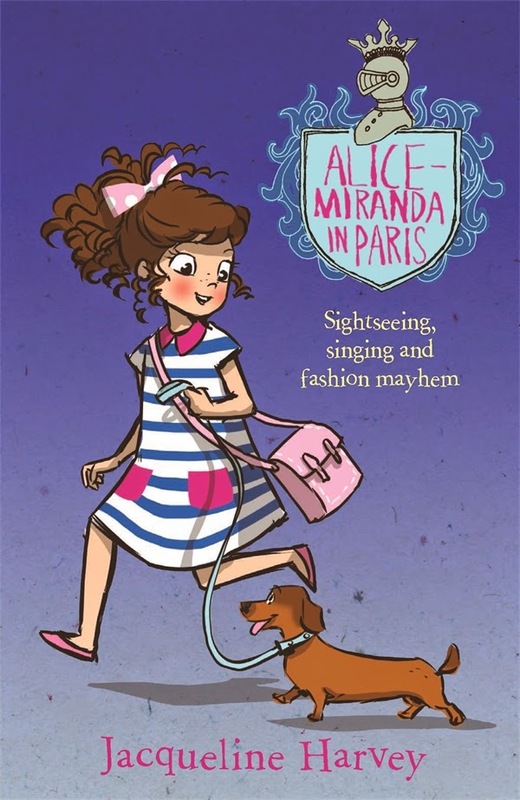 In amongst all the writing and usual emails and other weekly tasks I was thrilled to learn on Tuesday that Alice-Miranda in Paris has been shortlisted for the Australian Book Industry Awards in the Older Readers Category 8-14. It's such a huge honour to be there alongside Anh Do, John Flanagan, Nikki Gemmel and James Phelan. This morning the REAL awards shortlist was announced and Alice-Miranda In Paris is there too but on the Younger Readers list. I guess that's a good thing, that the stories are read by young and a little bit older! 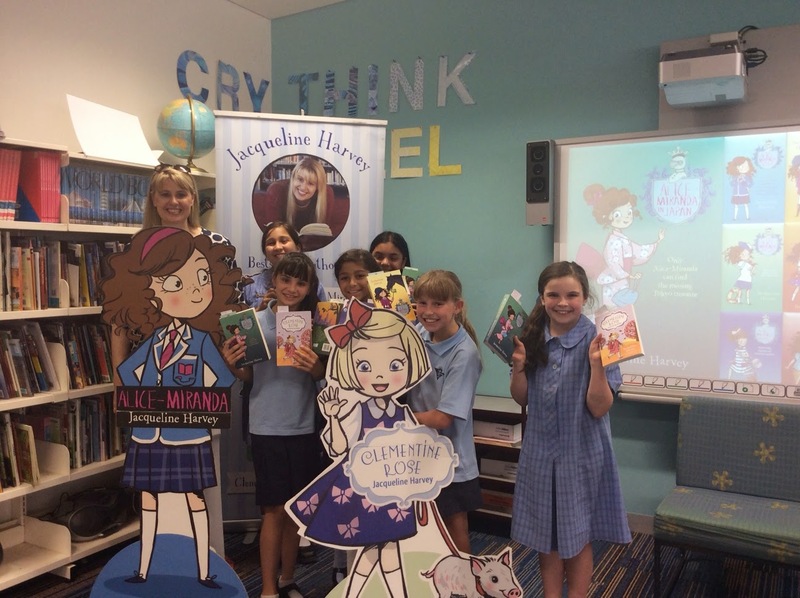 The REAL (Reading and Enjoying Australian Literature) awards are the shortlist used for YABBA, KOALA, KROC and COOL, the children's choice awards in Victoria, NSW, NT and ACT. You can see all the books that the children have selected below. It's incredibly rewarding and humbling to be recognised for doing something that I love - especially given that the books are not just my doing. So many talented people work with me to create them and quite honestly they make me look much better at this than I really am! To all of the fabulously talented authors and illustrators who have been shortlisted and the teams behind them, congratulations! The icing on the cake was finding out this morning that a young writer I've been mentoring for the past year has just had a story accepted for publication. I have had great faith in Corinne since we started working together - she's a star on the rise and to play a small part in helping her get there is incredibly rewarding. We are definitely planning some celebrations! You Don’t Even Know (Sue Lawson, Black Dog Books). 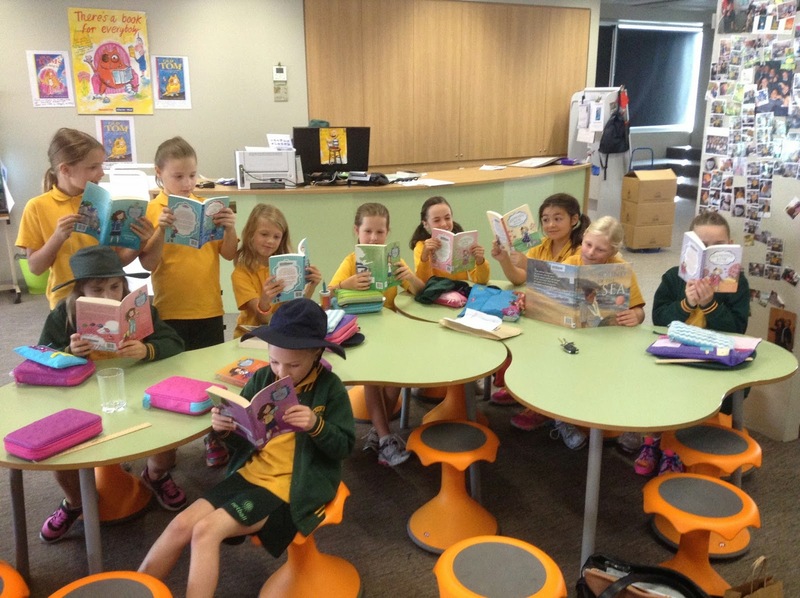 Children in the ACT, NSW, NT and Victoria will vote for their favourite books in each category in October. 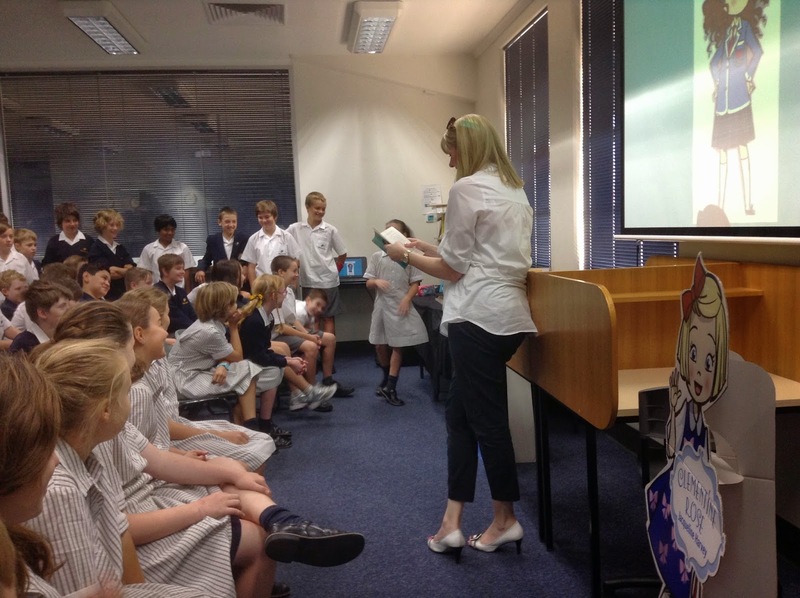 The winners of the COOL, KOALA, KROC and YABBA awards will be announced in November. 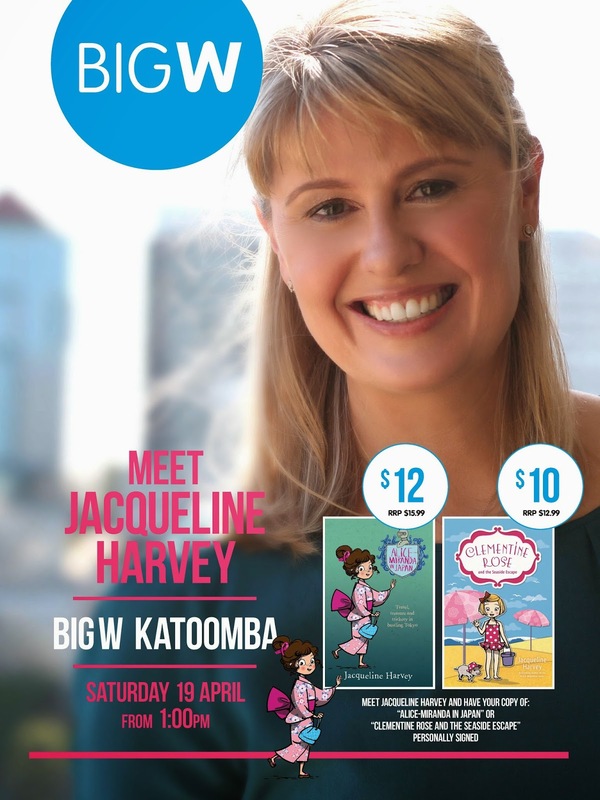 I'm really excited to be doing my first in store event with Big W on Easter Saturday. 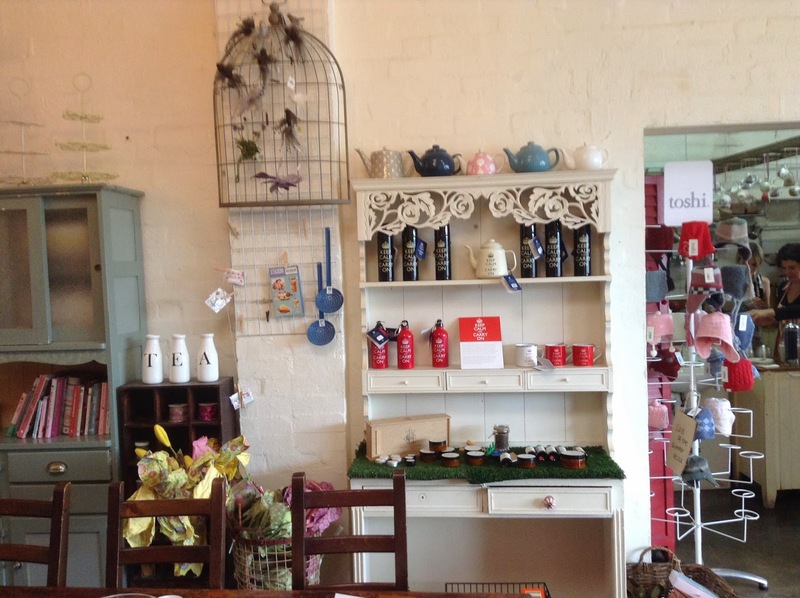 A brand new store has just opened in Katoomba and I am going to be there on Easter Saturday from 1.00pm. Fingers crossed that there will be lots of visitors to the mountains for the weekend as well as locals out and about. I'll be signing and having photos as well as a short chat at the beginning of the event. Come along and say hello. I look forward to meeting everyone! 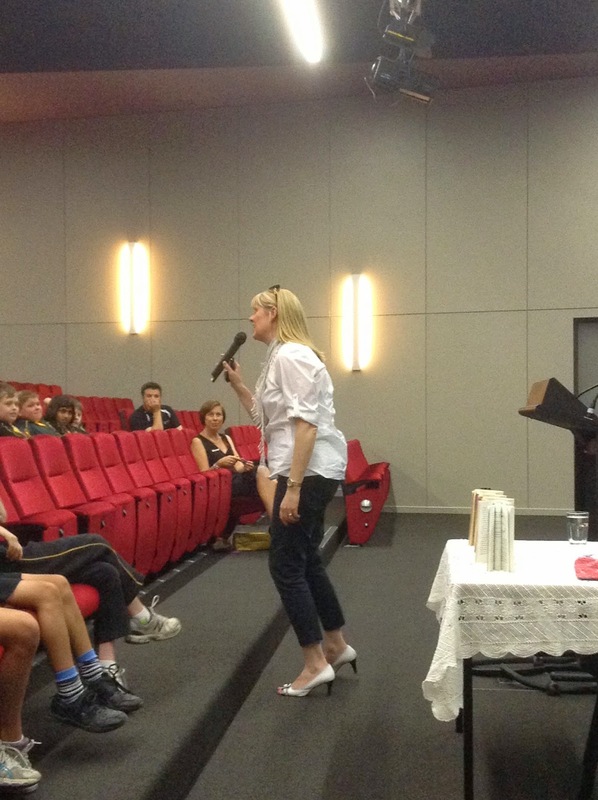 Brisbane Tour - A brilliant couple of days! I love being on tour. 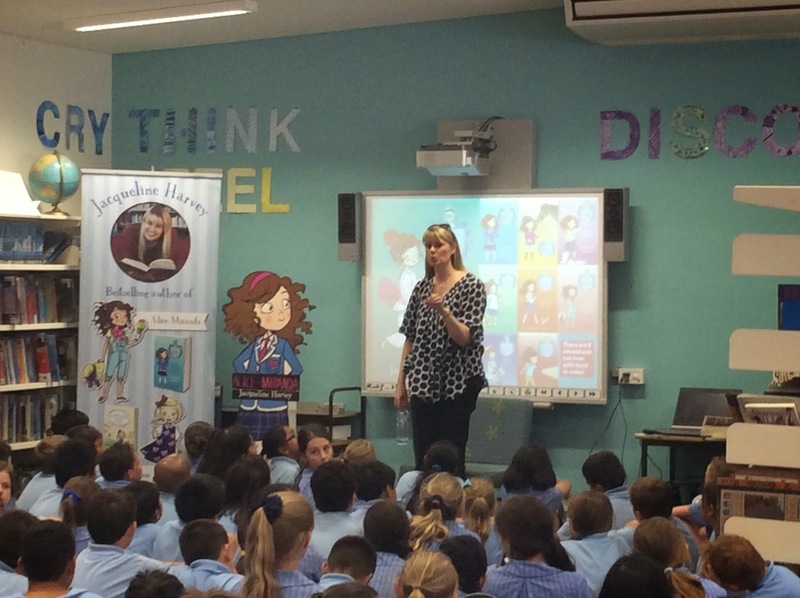 It's one of the most rewarding aspects of being a children's author - when you have the opportunity to meet the readers. 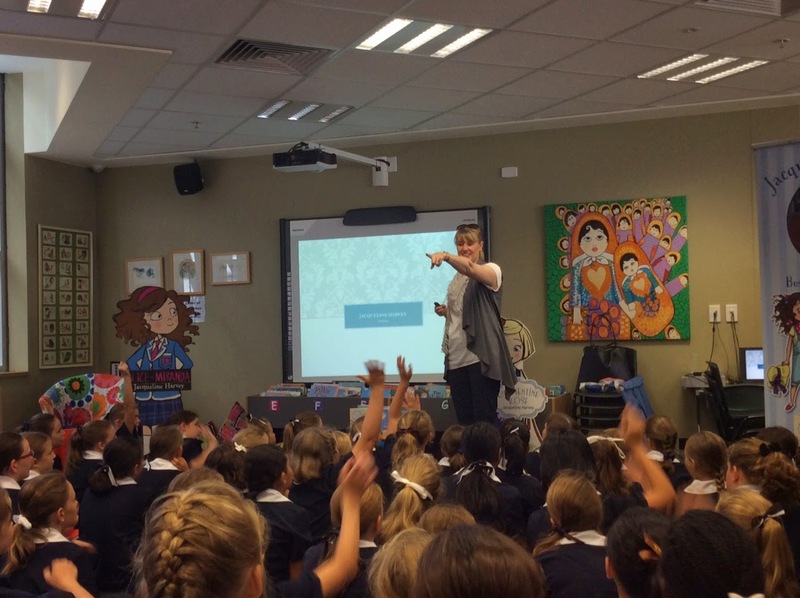 I recently spent a couple of days in Brisbane visiting schools and bookshops, and the lovely folks of the Children's Book Council, all of which was great fun. 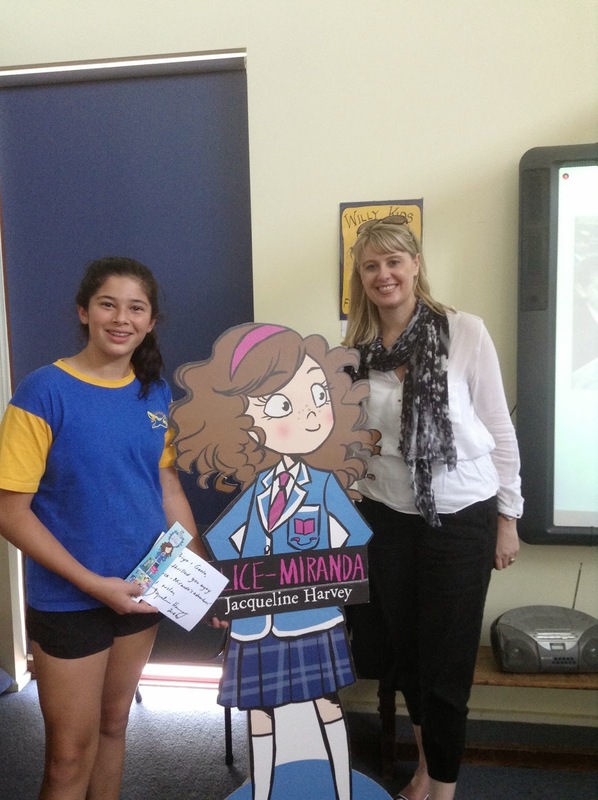 Zoe and I were off on another adventure, our first stop, St Margaret's School for Girls. I love the feeling at St Mag's as it's affectionately known. The girls are sweet and the location of the school right on the river at Ascot is ideal - they get a breeze and the view is spectacular too. 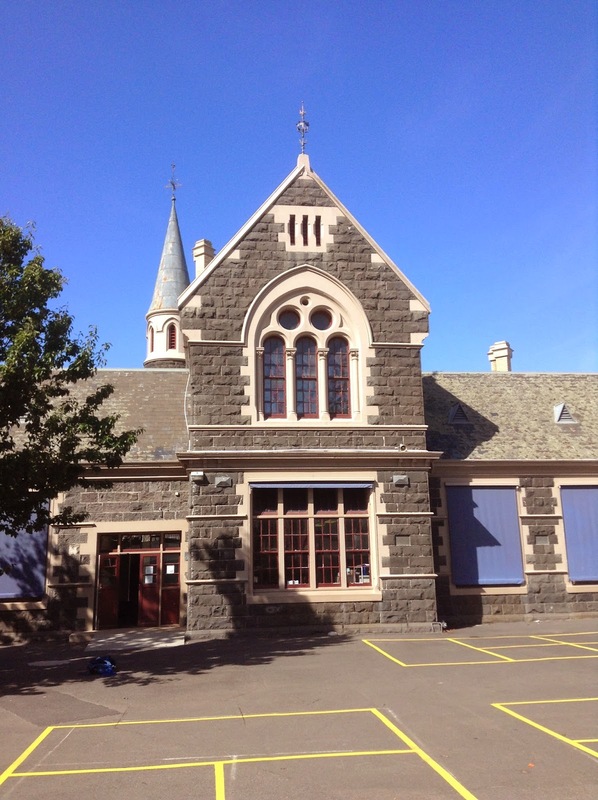 We had to leave St Margaret's and zip around to Clayfield College, which fortunately is just around the corner. Again it was wonderful to meet the students and I talked to them in their beautiful chapel. The boys were especially responsive and I loved that when they ask me whether 'they're just books for girls' I can tell them lots of the boys' stories in the series' too. It was a pleasure to sign lots of books and talk to the children one on one afterwards. 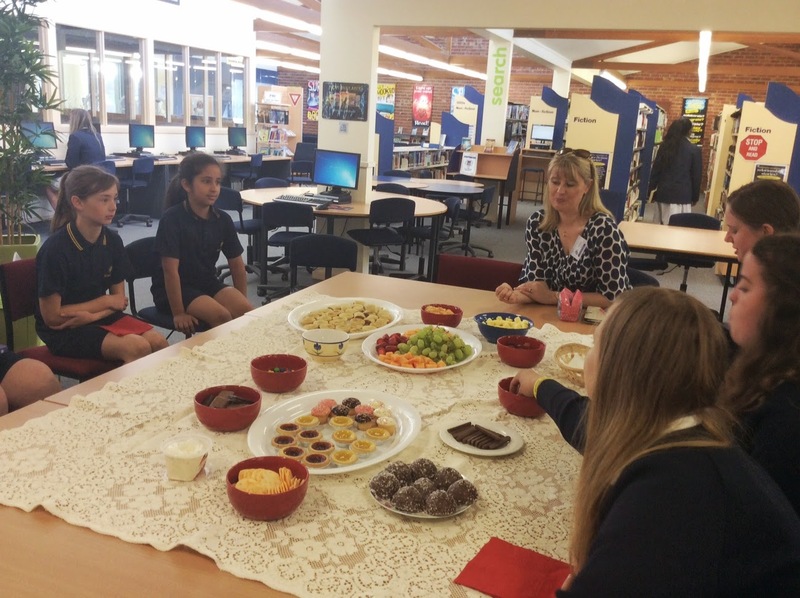 We then headed back to St Margaret's to sign the girls' books and were treated to a spectacular Japanese lunch with Angela and the librarian Claire. 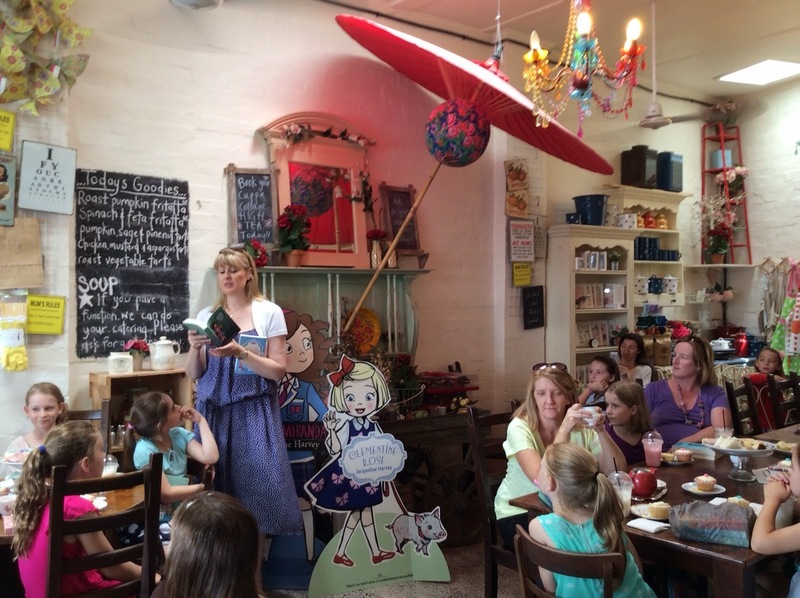 I was really looking forward to the afternoon event with Riverbend Books in Bulimba. 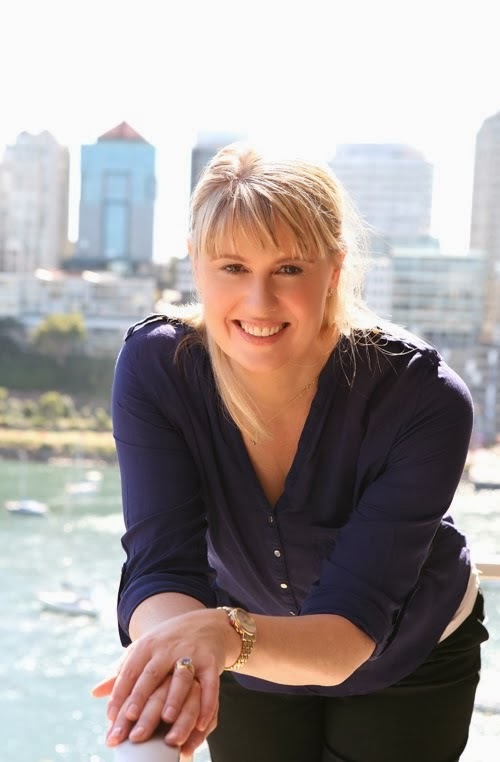 Owner Suzy Wilson is one of those people who just make things happen. I first worked with Suzy years ago when she started the Riverbend Readers' Challenge supporting Indigenous communities by providing books. That Challenge morphed into the Indigenous Literacy Challenge and is now the Indigenous Literacy Foundation. Suzy should be so proud of what she and the team have achieved over the years and it was wonderful to see her after so many years. There were other very special children there - big fans who had left school early and two sisters and their mother for whom Alice-Miranda has provided a welcome respite from some fierce challenges. I really had to hold back the tears at one stage. That night I got to catch up with Julie who is my mum's best friend since they were little girls. She lives in Queensland and we hardly ever see each other so it was really special to have dinner and time for a chat. In the morning Zoe and I headed around to Dymocks in Brisbane to say hello to the lovely staff and sign all their stock. Hopefully next time we're up there we can do some events with them too. 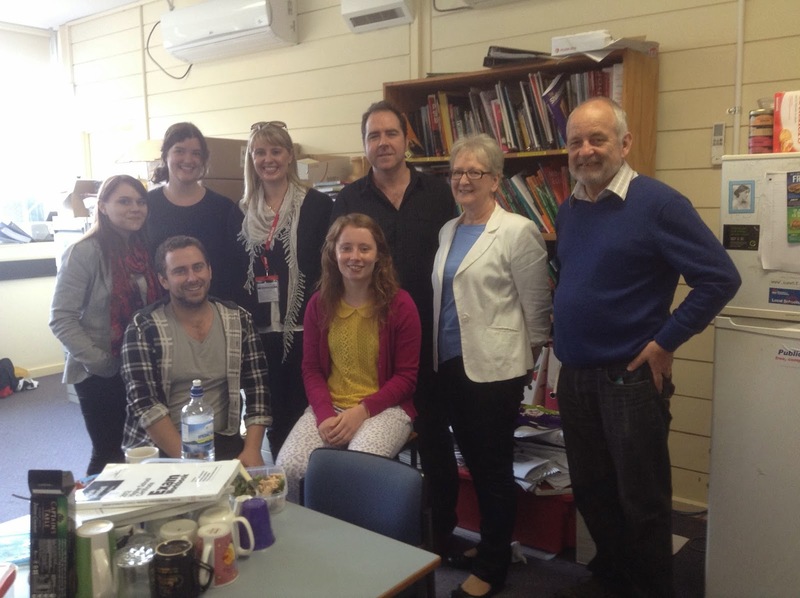 Then we were off to St Aidan's School to meet librarian extraordinaire Megan Daley. 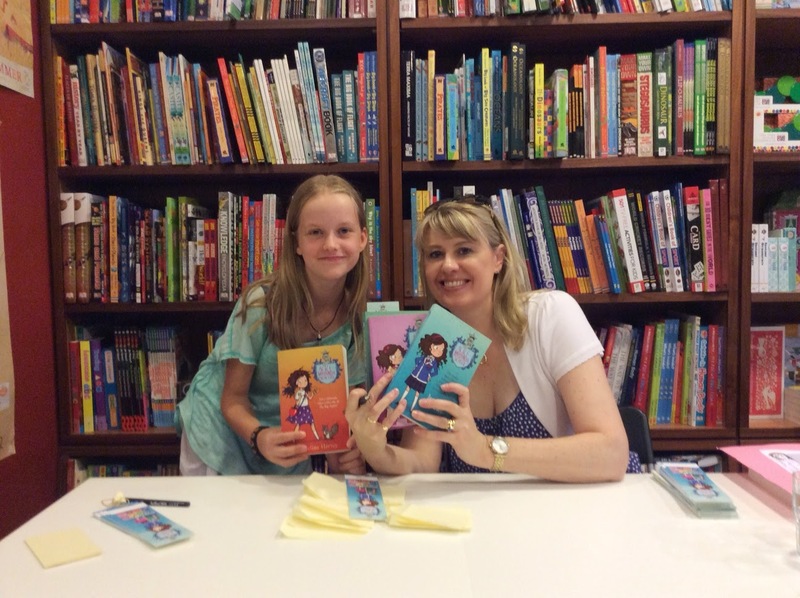 She write a fabulous book blog and I was thrilled to be interviewed by Megan before my visit. 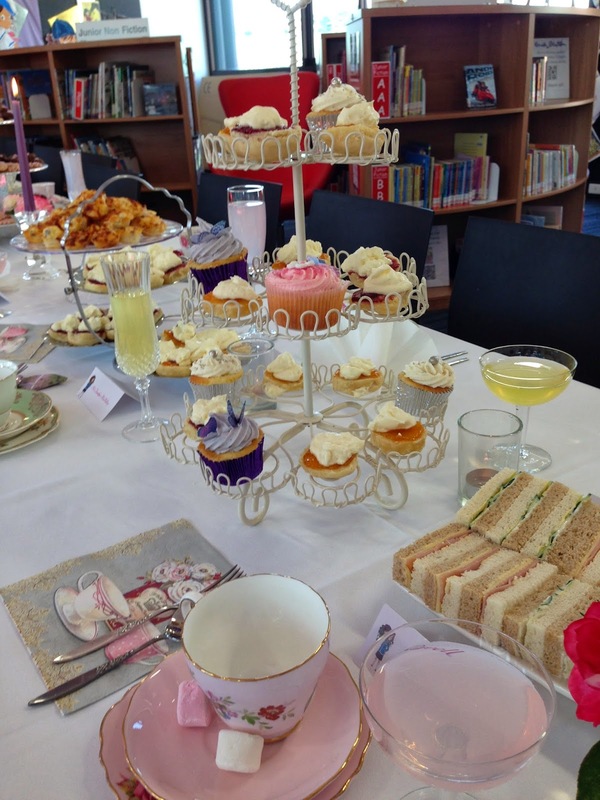 She's a stunning cook too - morning tea was delicious. 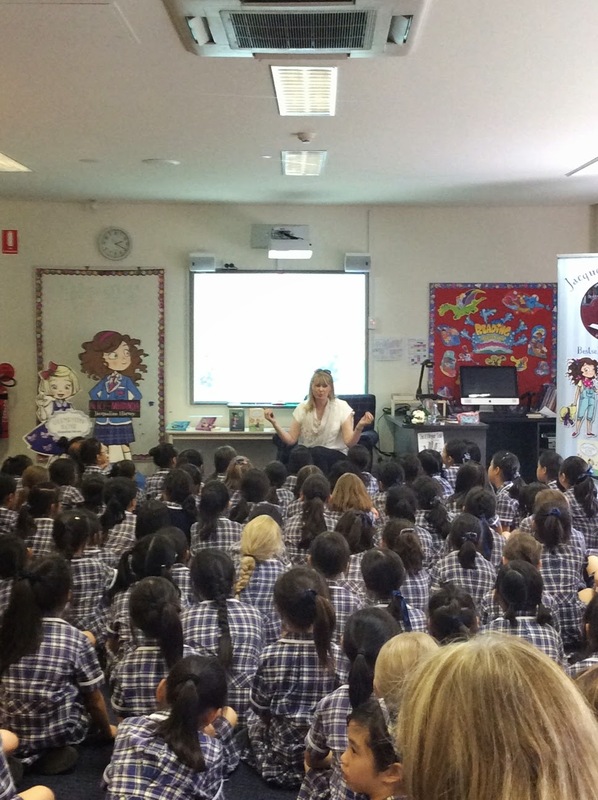 I talked to the girls in Years 4, 5 and 6 and then had another session with Year 7. I looked into the crowd of faces and spotted someone I knew. 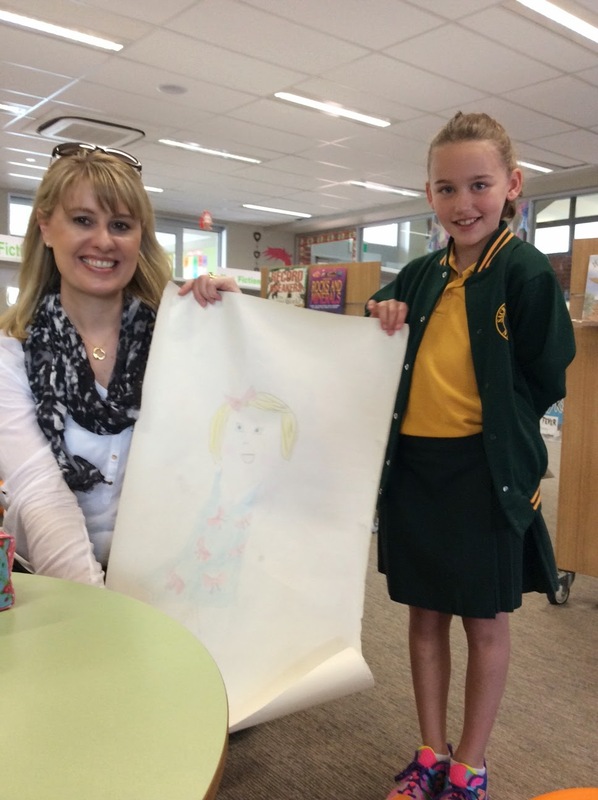 Mackenzie Curtis - an ex Abbotsleigh student. I think she was surprised that I remembered her but I certainly did. What a beautiful young woman she's growing into. 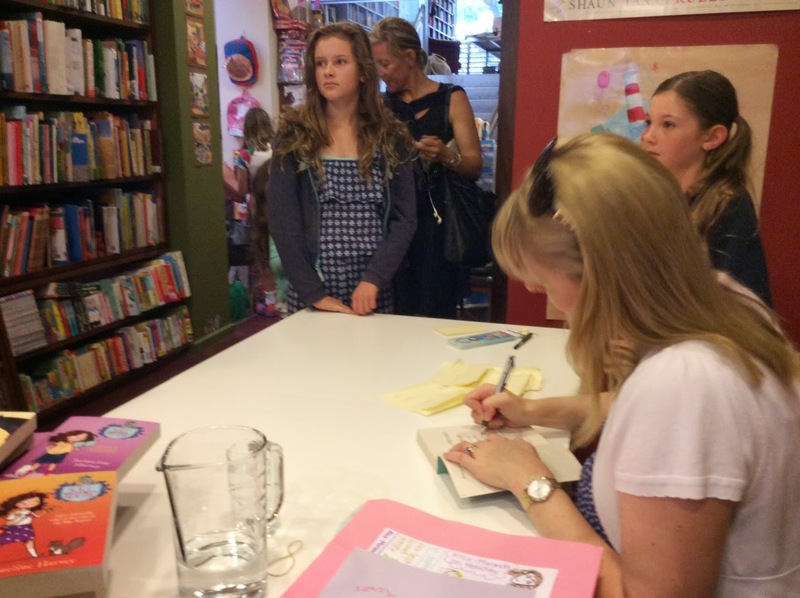 I signed lots of books and then we rushed around the corner for a small signing at Avid Reader. It was wonderful to see so many children coming from school to meet me. 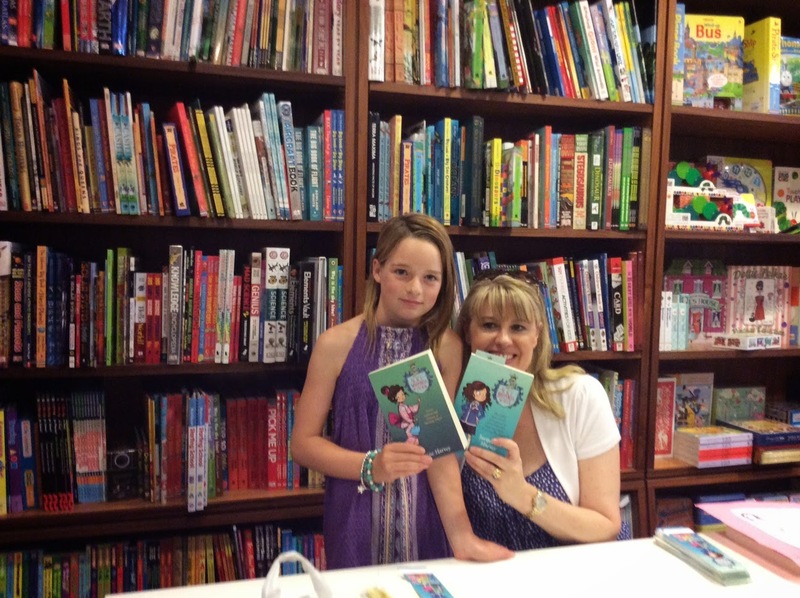 Avid Reader is an amazing shop with a phenomenal author program. That night they were having Hugh Mackay but he was only one of the big names in for the week. I love when bookshops really set themselves apart and offer things that patrons can't get anywhere else. In this day and age with the fierce online competition that hand selling and expert knowledge is so valuable. From Avid Reader we high tailed it to the State Library to meet the Children's Book Council group. It was such a thrill for me to meet a lady I have become friends with on Facebook and who I felt like I already knew so well. Coralie Ross is a sweetheart - always positive and encouraging, I feel like she's been with me on so much of my journey in the past few years. I loved meeting her and everyone else - and what a treat to be able to talk to them about books and some of my experiences. They also had delicious pizzas afterwards too! 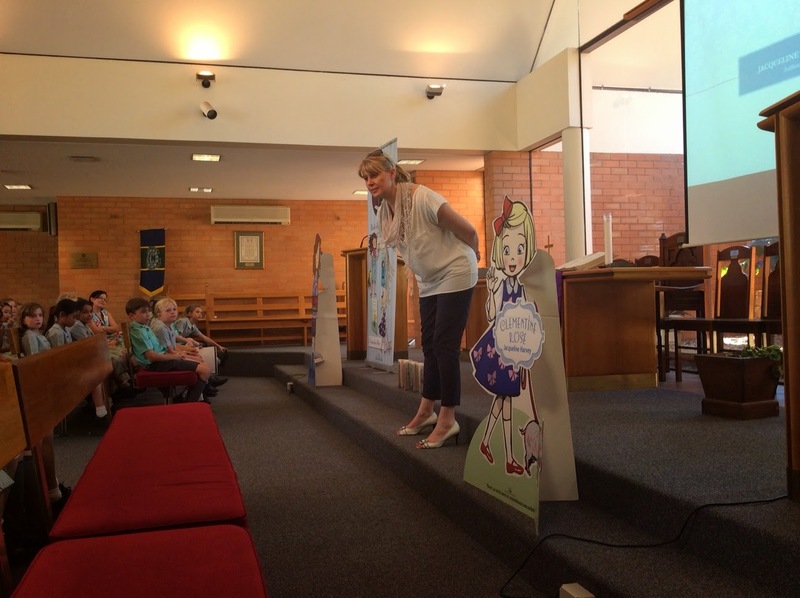 Zoe and I then drove to the Gold Coast for the Somerset Festival of Children's Literature. My time in Brisbane was way too short - and I can't wait to get back up there again soon. This time last week I was coming down from the high that is the Somerset Celebration of Literature. It's the first festival for children's books I ever went to as an invited guest in 2004 and I have to say after my recent fourth return, it still blows me away. It's always a highlight meeting other authors and illustrators - some of whom I know and many, who I know of, but have never met in person. This year's group was ultra fabulous! So many incredibly talented people who only add to my 'fraud syndrome' issues. Case in point - open one of Vikki Wakefield's stunning books. I had to re-read the first page of All I Ever Wanted three times because it is soooo beautifully written. On top of being an amazing writer, Vikki is a genuinely gorgeous person too. It was especially lovely to catch up with Rebecca Sparrow, who I haven't seen since Somerset 2008 when she gave me some very helpful advice. So much has happened since then. 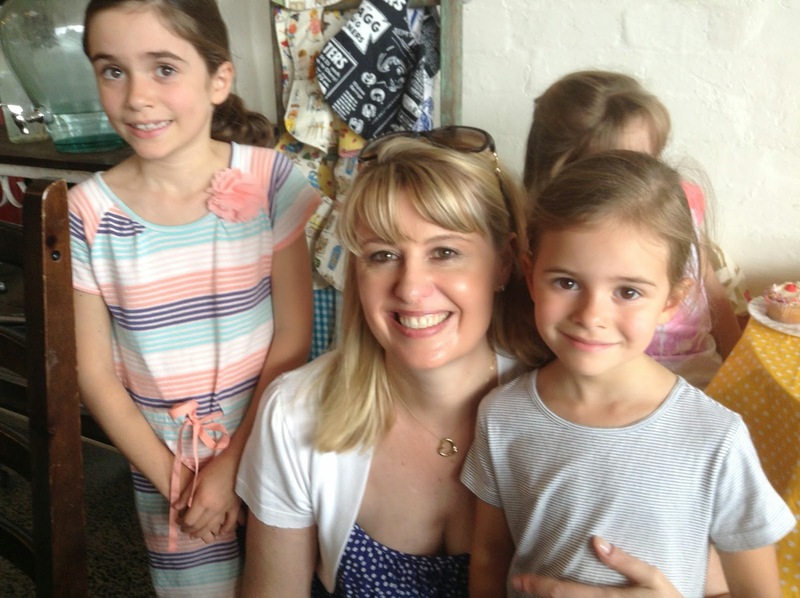 I've followed Rebecca's incredible journey into motherhood - with her three beautiful children and the incomprehensible loss of her gorgeous Georgie. Although we hadn't spoken for so long - other than on the Internet, she is one of those people who you are drawn to and feel like you know. 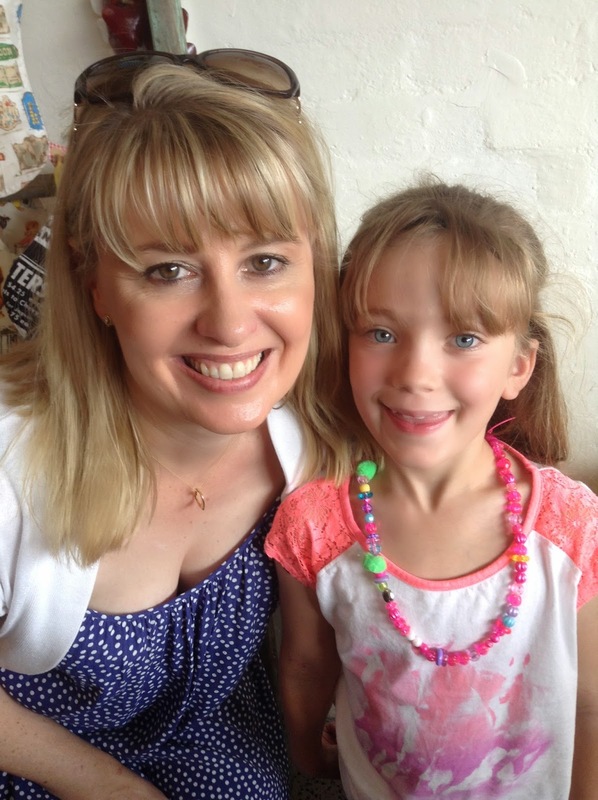 Generous, warmhearted and kind - the sort of woman you just want to be friends with. The festival opening night on Wednesday was a blast - quite literally, as the fireworks lit up the clear night sky. Somerset turned 21 and the cake was amazing. I was so chuffed that one of the cake books was Alice-Miranda Shines Bright and fellow Random House author, Tristan Bancks' new book Two Wolves took centre plate. As you can see from the photo, we were both pretty thrilled to be included. There were four of us from Random House at the festival. In addition to Tristan and me, we had the irrepressible Nick Falk and illustrator extraordinaire Tony Flowers who have just released a new series called Billy is a Dragon as a follow up to their fabulous Saurus Street. Gorgeous Zoe, one of the RHA publicists who I'd spent the past week and a half with stayed with us on the first day but tag teamed with Sarana - who never seems to have anything but a huge smile on her face. We had a lot of fun setting up camp in the lawn marquee, meeting children and watching the fantastic flash mobs at lunchtime. 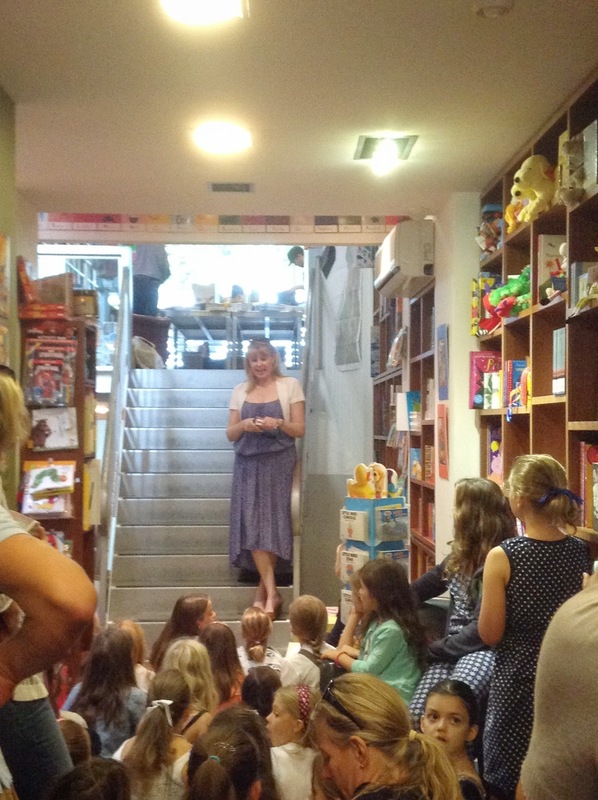 The ladies in the book shop seemed very pleased that we were there - and frequently came over with more books to sign and directed children our way too. I loved watching the students from different schools interacting and there really was a fantastic buzz. One of the most impressive things about the festival is the volunteers. School parents who give up hours and hours over many weeks and months to ensure that it really is the best experience for all. The student volunteers are terrific too and as presenters we are given minders who make sure we get to our events on time and help with the set up. 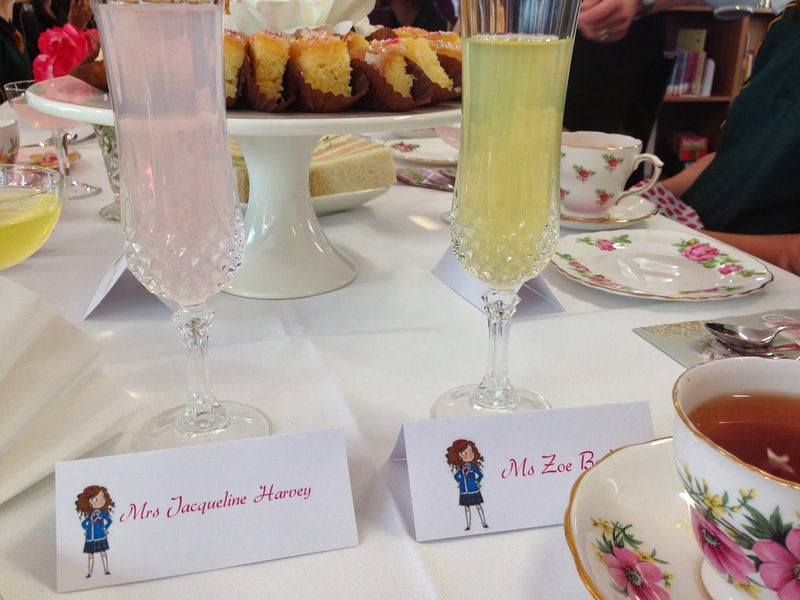 My two girls, Chanel and Chantelle were lovely - balancing hectic study schedules with their author responsibilities. It was hot and humid as it seems to be on the Gold Coast in March but the following week they had torrential rain so we were very fortunate, particularly as three of the venues are in huge marquees on the oval. I really enjoyed catching up with people; Gabrielle Wang, Roseanne Hawke, Mandy Foot, Mark Greenwood, Tiffiny Hall, Will Kostakis and Fiona Wood as well as meeting many people for the first time - Danny Katz, Andrew Weldon, Wai Chim, AJ Betts, Eleanor Coombe, Shamini Flint, Kim Kane, David Lowe, Juliet Marillier, Debbie Miller, Mark Pardoe, Jessica Shirvington, Vikki Wakefield and Claire Zorn - and apologies if I have missed anyone. It's always a pleasure to spend time with the Random boys too! Congratulations to Andrea Lewis and her team for putting on another spectacular Somerset and to Karen Mackie for her great support and inviting me to be part of the program again. Fingers crossed there are many more Somersets to come! This past week has been a bit of a blur - but in a very good way. On Tuesday morning Zoe and I met at the airport for our rather early first flight out to Melbourne. Having been a long weekend for our southern neighbours the plane was packed to the gills. We were making good time to get to our first event until we hit the Tullamarine Freeway and the traffic ground to a halt. There were three accidents - all on the other side of the road. Apparently there was nothing wrong on our side apart from a lot of rubbernecking. Fortunately none of the incidents looked to be serious. We were heading for Haileybury School on the eastern side of the city and the traffic caused us to be about ten minutes late. Once we got underway I had two great sessions with the students. 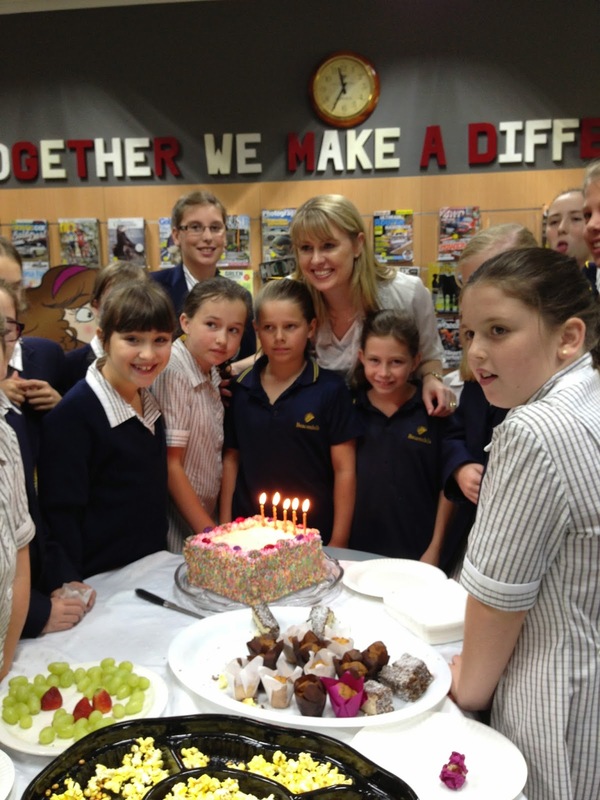 First up, the girls in Years 5 and 6 and then all of the students in Years 2-4. The children were enthusiastic and lots of fun and I really enjoyed meeting everyone. 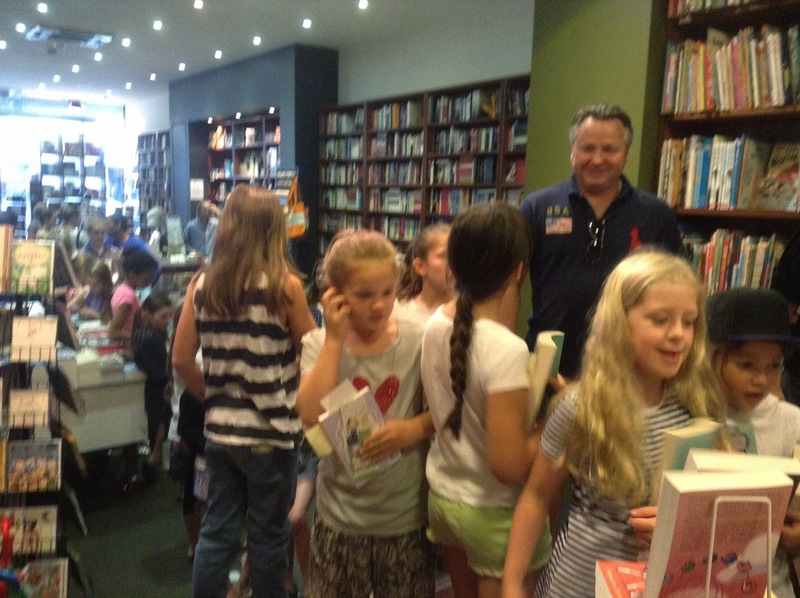 It was great to be working with Henk from Camberwell Dymocks again too - he's a gem. From Haileybury we were off to PLC back towards the city. The girls in Prep-3 were fantastic and I love when they lurk around in the corridors whispering and wondering, 'is that the author?' The time flew by and I was thrilled to have a very long line of students all wanting their books signed. 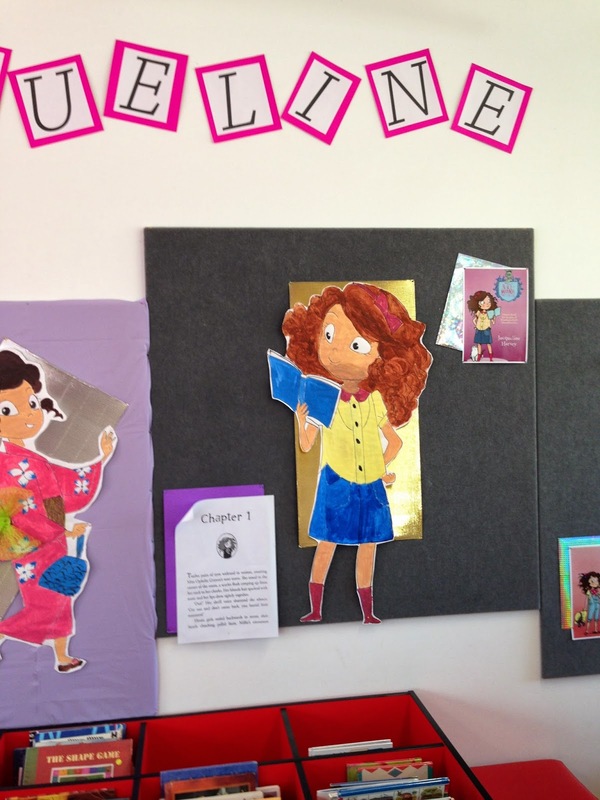 It's great when schools really get behind a visit and at PLC they had had a colouring competition with the Alice-Miranda and Clemmie characters. Monday evening called for an early night - I needed it after being up at half past three. 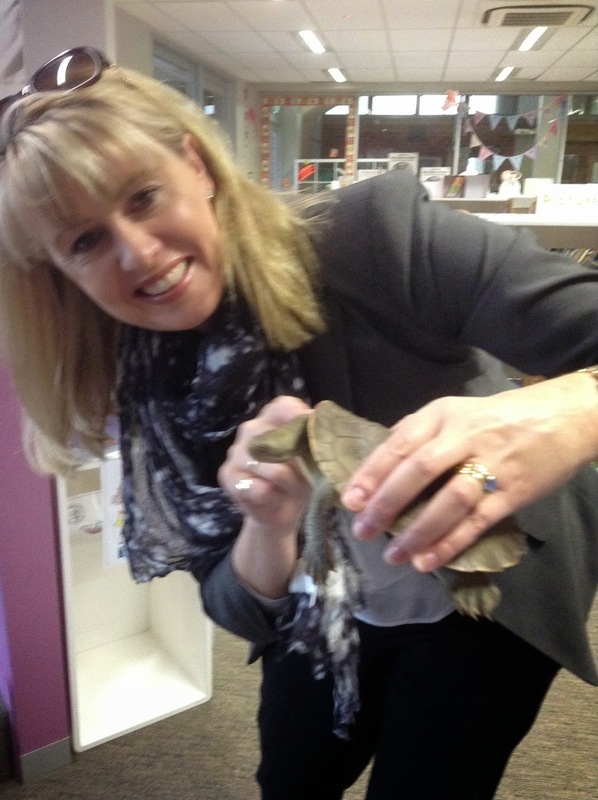 On Tuesday we were off to the Williamstown area with the lovely Sue from Book and Paper, visiting Sacred Heart Newport (where the children keep an array of animals including this gorgeous turtle called Sheldon). The librarian Carmel and I learned that we had something in common - that was our birthdays tomorrow! 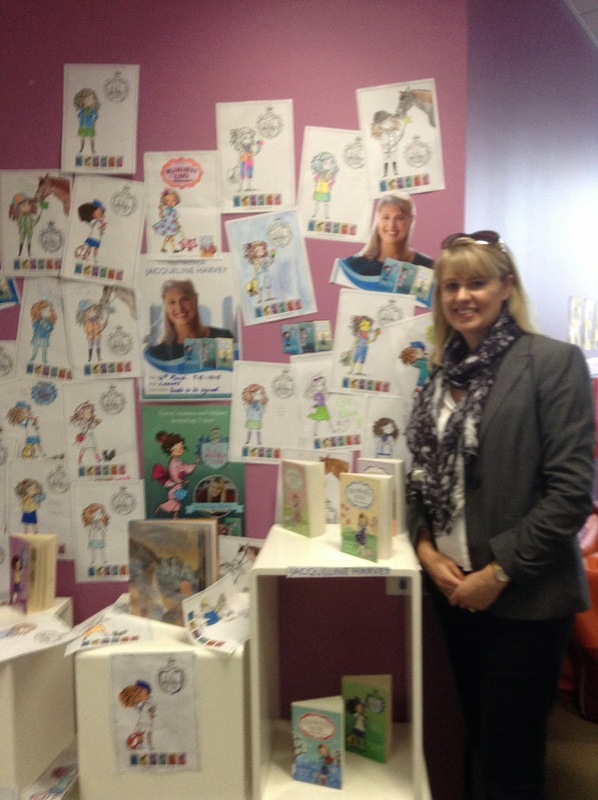 Her display to celebrate the visit was great and it was lovely to meet all the kids. 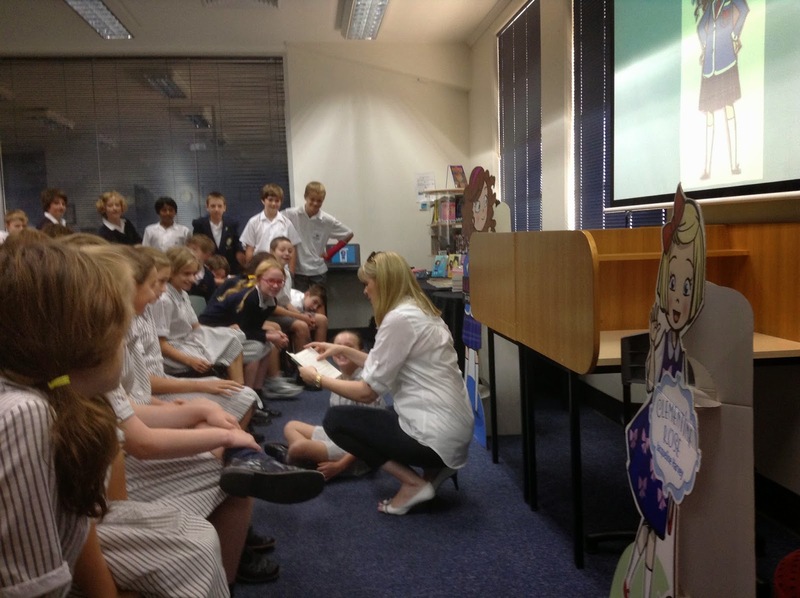 We then headed for Newport Lakes Primary School followed by Williamstown Public School, both of which were lots of fun. It's a lovely area on Port Phillip Bay which has become very gentrified over the years. The houses are a beautiful mix of old cottages, Federation and ultra modern. It's certainly an area that appeals to me in terms of a great place to live - and the shops are terrific too. 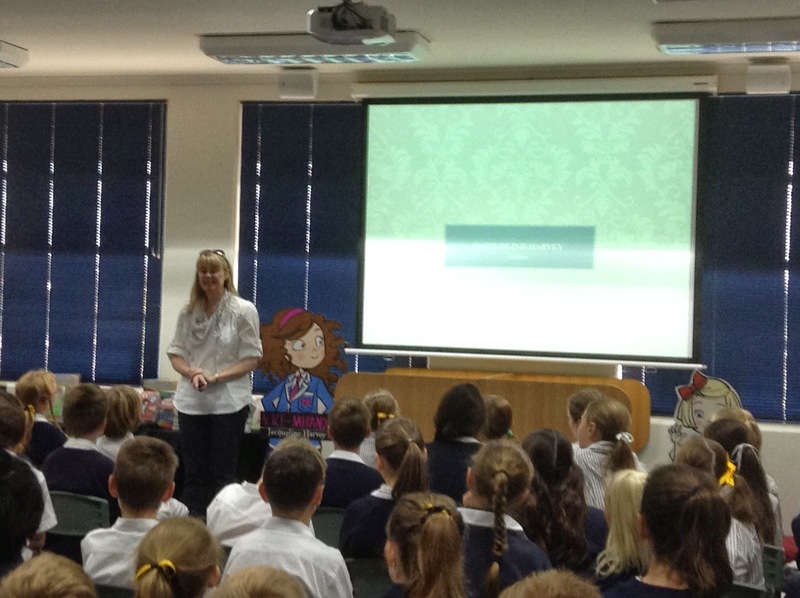 The school visits were great and I really enjoyed the enthusiasm of the children and teachers. Thursday was an early start as we headed west of the city again to Beaconhills at Berwick. What a wonderfully warm greeting we had there and a special morning tea too - made extra special as it was my birthday and Carmel and her team had gone to a huge amount of trouble including buying not one but two cakes! 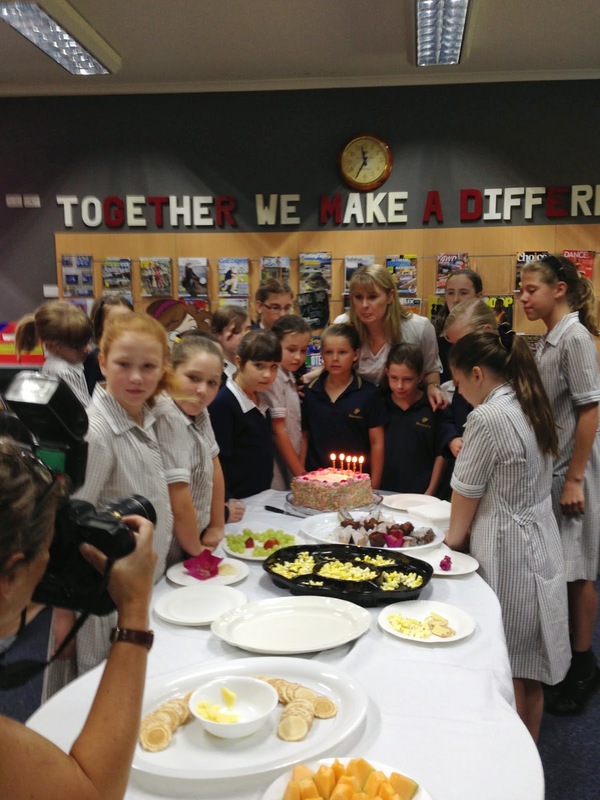 A photographer from the Herald Sun came to take some pictures which we hope to see in the paper over the coming weeks. From there we travelled not terribly far at all to Hillcrest Christian College. 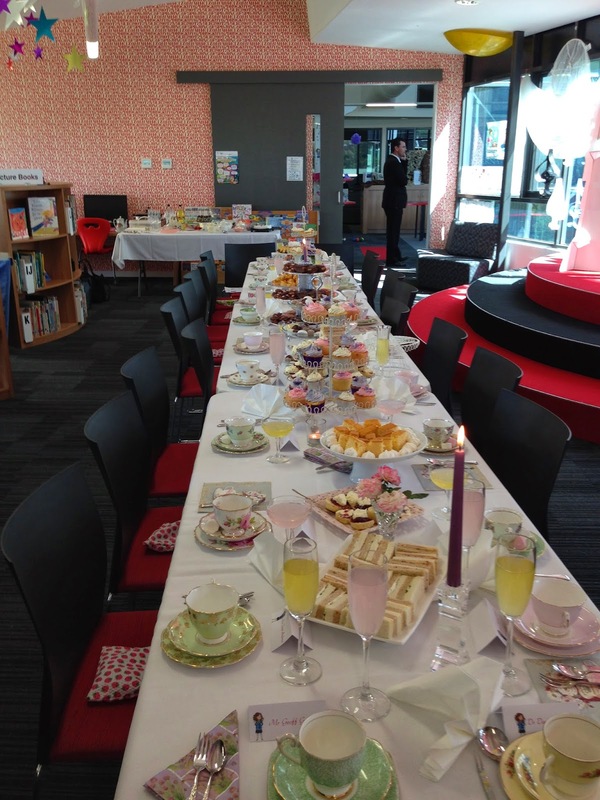 I walked into the Discovery Centre to find the most amazing high tea. 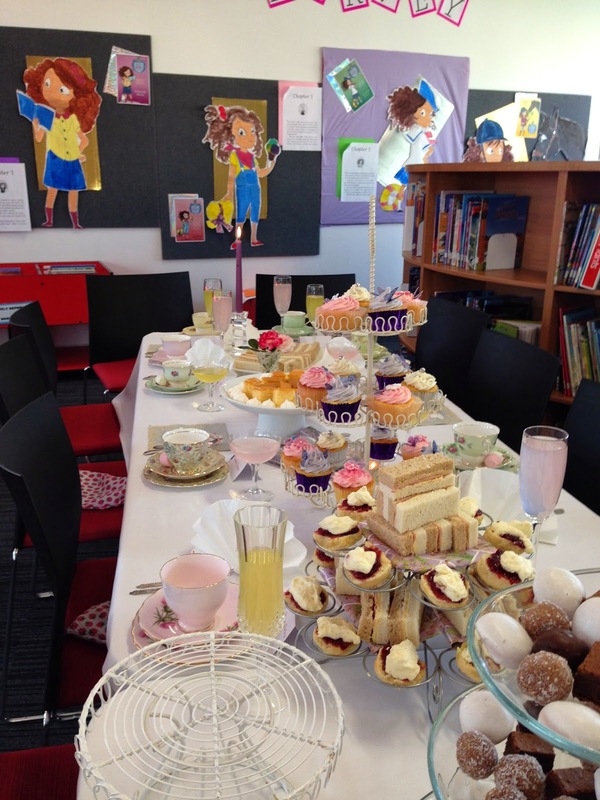 It was beautiful with crystal glasses, china cups and saucers, cakes stands and a beautiful display of Alice-Miranda characters. I was completely overwhelmed. 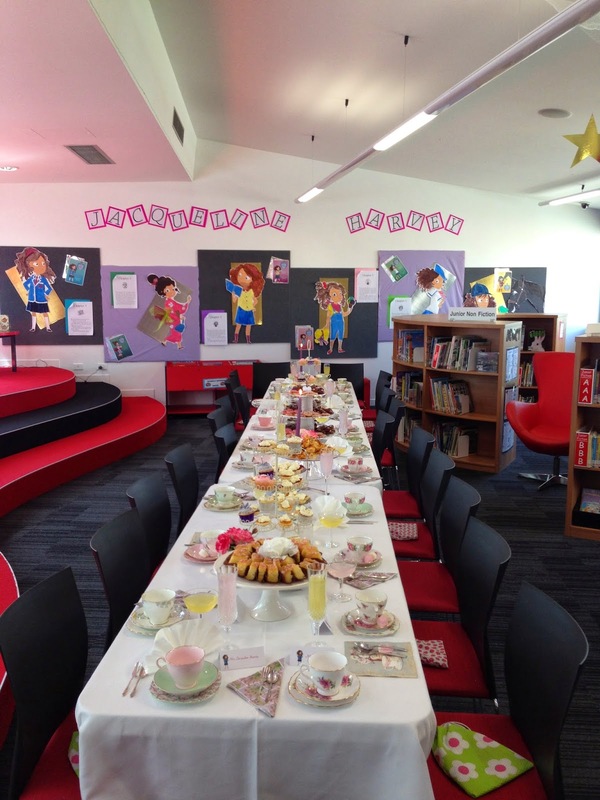 Michelle Nye and her team had brought me to tears with their absolutely stunning lunch time event, which a group of girls won the opportunity to attend by coming up with new places that Alice-Miranda could go for another adventure. 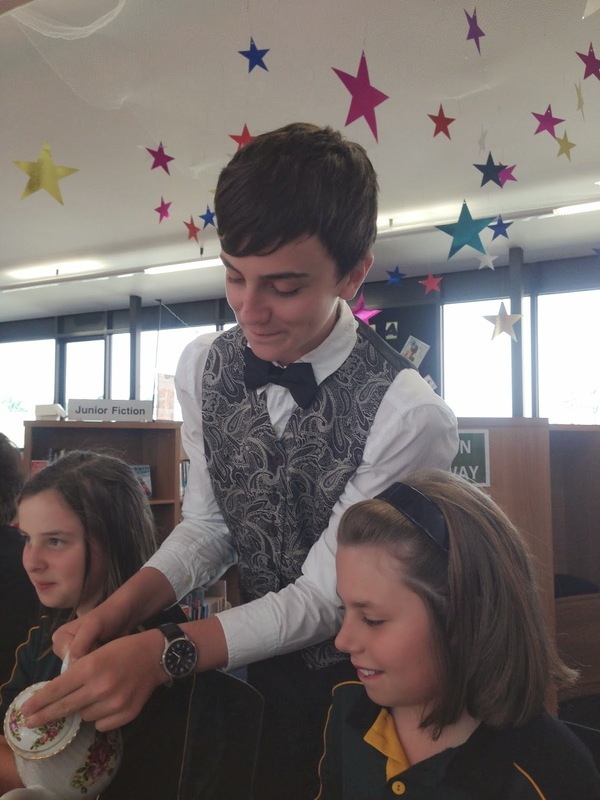 The School Executive joined us for lunch and there were two gorgeous Year 11 boys who had clearly been channeling Carson from Downton Abbey with their excellent wait skills. I can't recall a 17 year old boy ever calling me Ma'am before! I spoke to the children in Year 3 and 4 in the auditorium after we were full of finger sandwiches, cakes and another beautiful red velvet cake. I had Happy Birthday sung to me twice that day - in English at Beaconhills and German at Hillcrest and had the most amazing day, complete with beautiful gifts too. 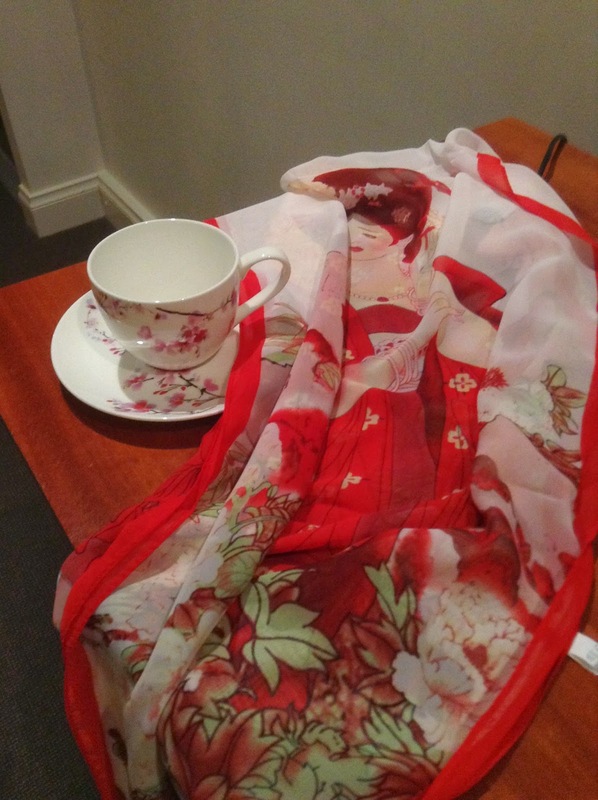 My gorgeous cup and saucer will be put to good use and the scarf with its Japanese motif is just perfect. 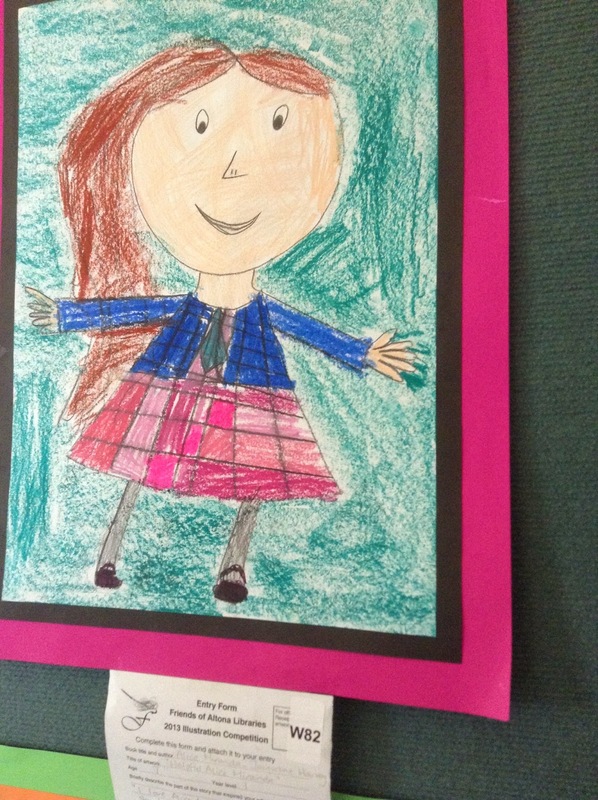 The children and staff at both schools made my day and I cannot thank them enough. It was truly a wonderful birthday and if I had to spend it away from home, I certainly couldn't have imagined anything better. That afternoon we stopped in at Dymocks Camberwell to sign a lot of shop stock and thank Henk for organising the first day of the tour. 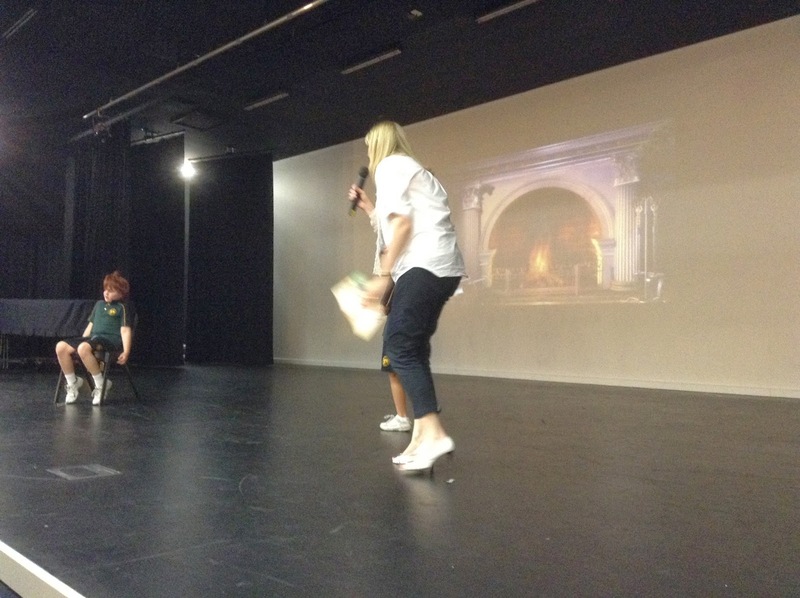 Friday saw us back at Beaconhills but at their Packenham Campus with another lovely group of Year 5 students. 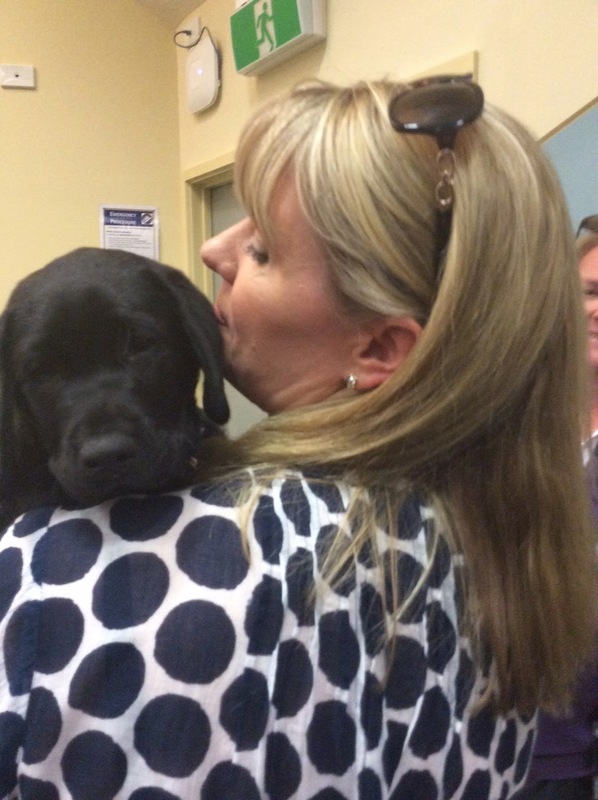 One of the teachers has a guide dog puppy and I could have kidnapped him - he was gorgeous. 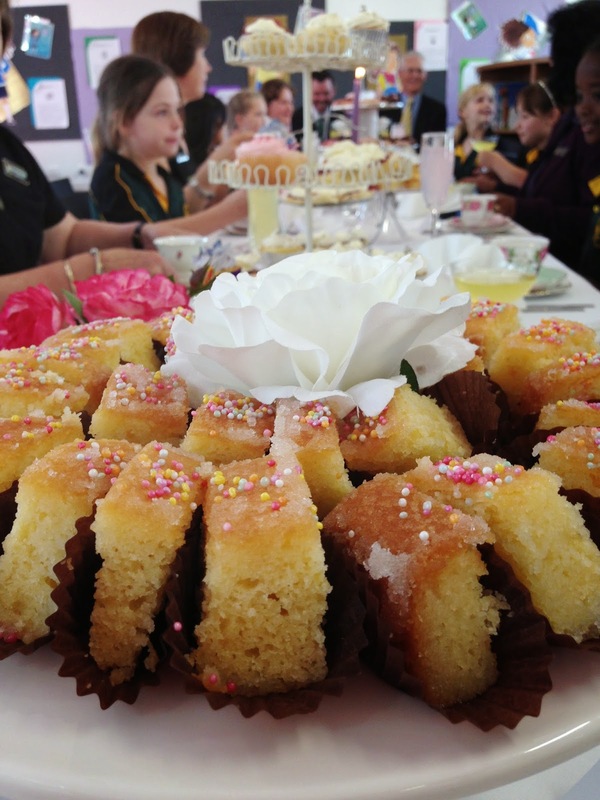 We were spoiled with yet another delicious morning tea and a chat with some of the students before we made our way to Narre Warren to Trinity Primary School. The kids were fantastic - it was Friday afternoon and they were so focused. It's a great credit to the teachers and school. 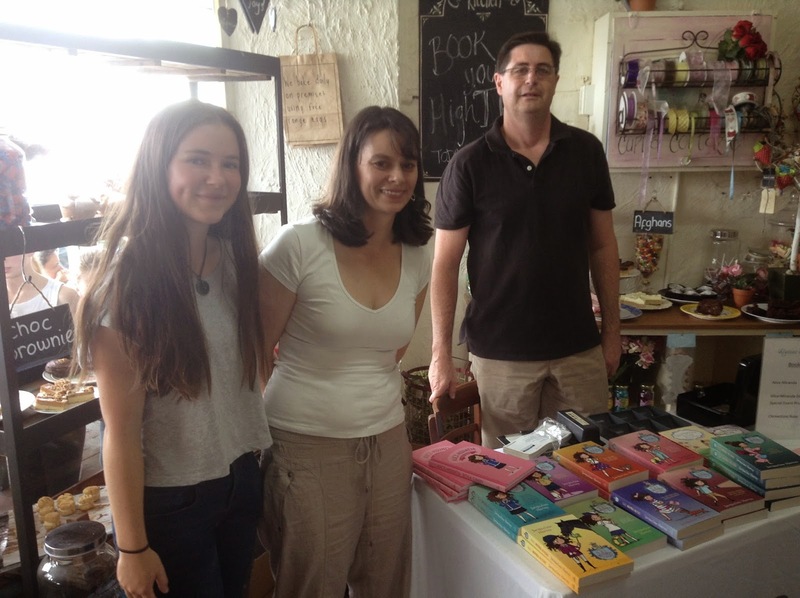 On Saturday morning we headed to The Avenue Bookstore in Albert Park for a shop event. I was a little wary given it was grand prix weekend but it took no time at all to get there and although it was busy, it was apparently no worse than other weekends. 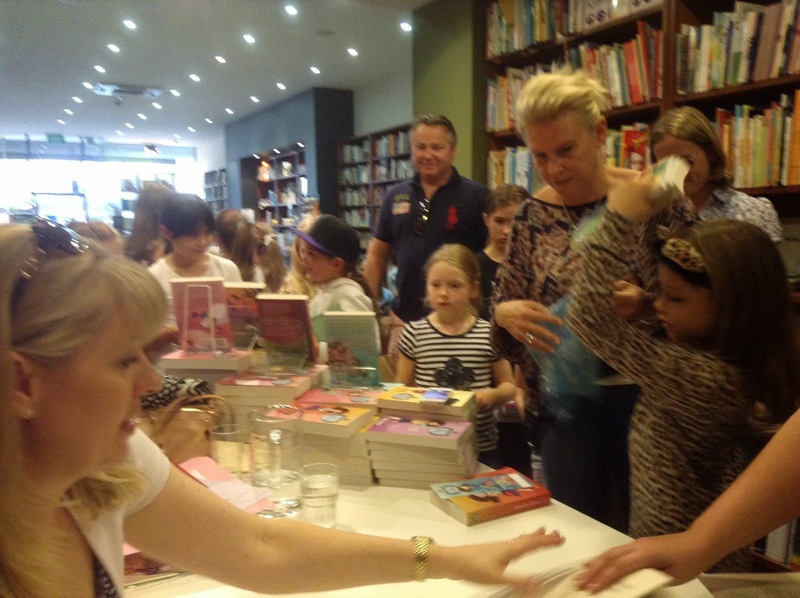 We didn't know how many children to expect but it was brilliant - packed and a line to the door when I started signing. I couldn't have been more thrilled and I think Elvira and the team were pretty happy too. 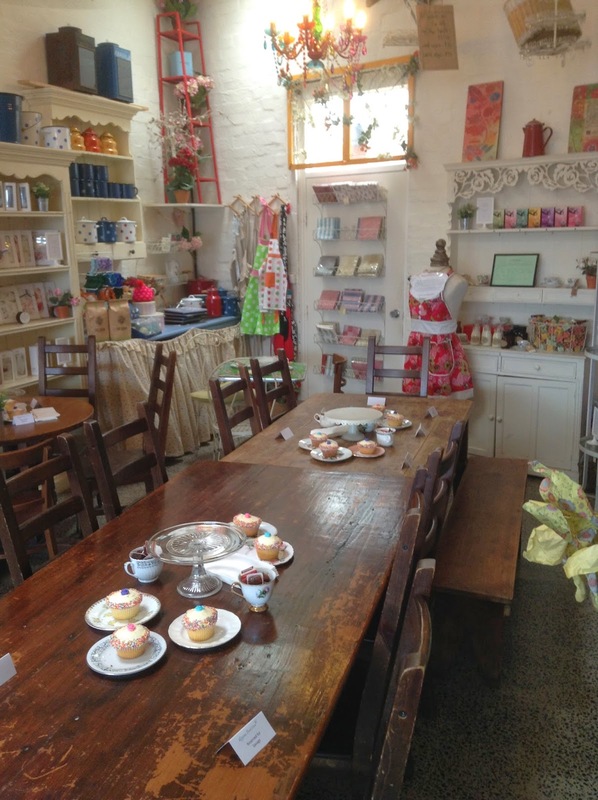 Our last stop on the tour was an afternoon tea at Cuppa Cottage in Sandringham with Tracey from Ulysses Bookstore. 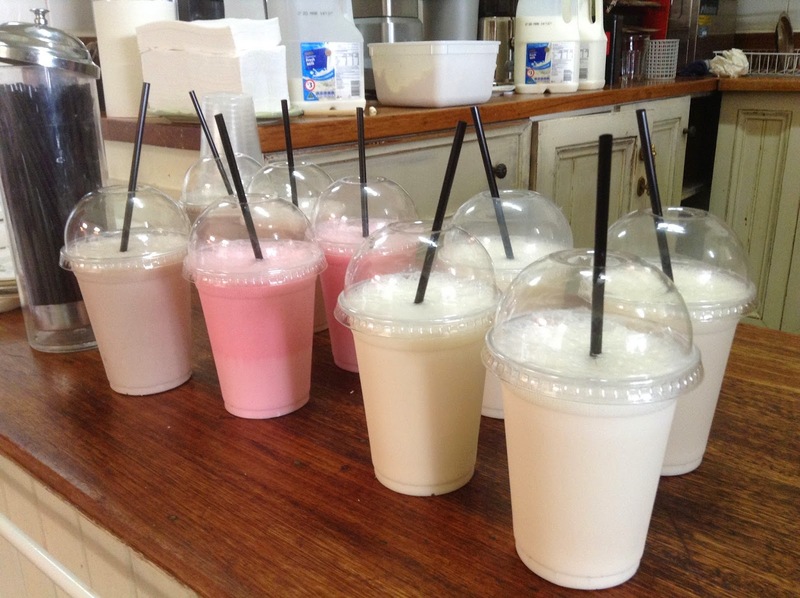 It was a sold out event and the cupcakes and milkshakes were delicious! 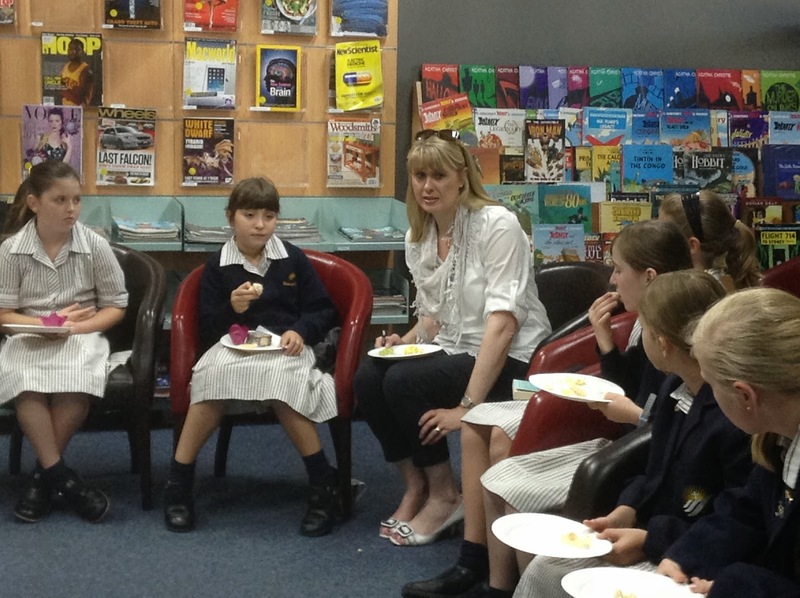 It was wonderful that the children had a special event mostly on their own and their questions were fantastic. Zoe and I then headed back to the airport with some very ominous storm clouds brewing. We boarded on time but just as we did they closed the airport until the storm passed over. It wasn't too bumpy getting out and we landed on time in Sydney. I've done a couple of loads of washing and am about to pack to get ready to do it all again in Brisbane and the Gold Coast this week. I can't wait to see everyone - and I'm thrilled to be heading back to Somerset for what is one of the most fantastic children's literature festivals anywhere in the world. 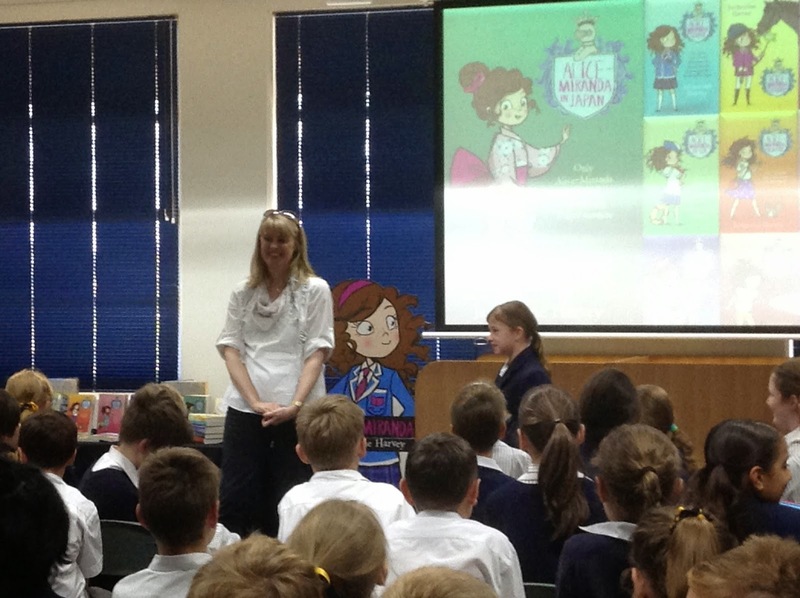 Huge thanks to all the lovely librarians and teacher I met last week - and the children too of course. It was so much fun and I am hoping for a return visit to Melbourne in the not too distant future.